● While in Attack Position: This card gains 500 ATK for each Morph Counter on it. 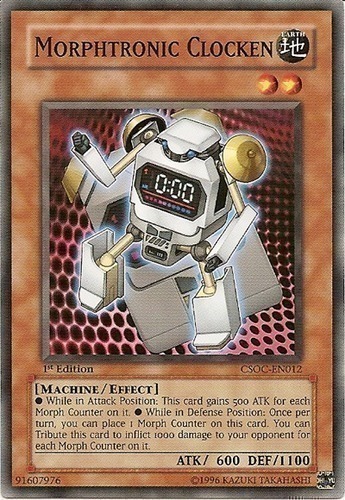 ● While in Defense Position: Once per turn, you can place 1 Morph Counter on this card. You can Tribute this card to inflict 1000 damage to your opponent for each Morph Counter on it.